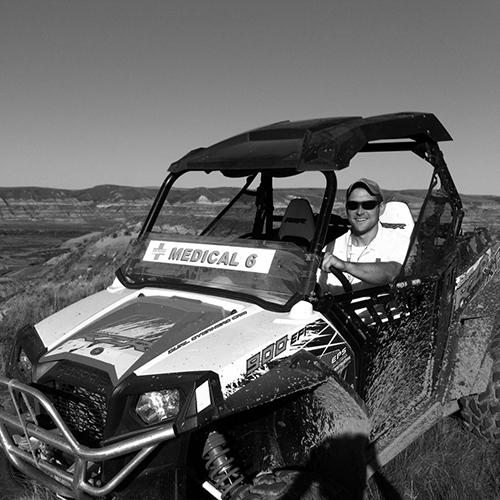 Risk Assessment “Top Ten” in Event Medicine – Odyssey Medical Inc. When Odyssey Medical bids on an event, we do more than just provide a bottom line number for the number of personnel requested. We look at the event, and we consider the risks. What are the risks? What are the resources needed to mitigate the risk? What’s an event you ask? Good question… as they aren’t all the same. Consider a bicycle race, music festival, motor vehicle race, triathlon, mud run, music festival with onsite camping or music festival for the day or overnight, you think of it and we can staff it. But, each one requires an entirely different set of considerations based on footprint, personnel, level of care predicted… and risk. How do you protect yourself from the known and unknown risks? Planning and having solid core fundamentals. What is the event? Music festival, Race, Mud Run? The nature of the event, and the activities of the participants are a fundamental starting place to begin thinking about risk. How many people are we expecting? It turns out that size does matter… event size, that is. The larger the crowd, the more patient presentations you are likely to see compared to a smaller, but similar event. Knowing the number and being familiar with the rates and types of clinical presentations that come out of different event genres is central to event medical planning. Is the host/production team new to this type of event or are they seasoned? Event producers, just like the rest of us, earn their experience and wisdom by doing the work. First timers have their most important mistakes in front of them, so consider the experience of the team in evaluating their probability of managing risk. What is the demographic – Alcohol and drug use expected? Not all crowds are the same, of course. The age, the baseline health, the anticipated behaviour and other crowd characteristics will factor into an understanding of potential risks. Some events serve alcohol, and some guests will choose to bring in their own, depending on how they want to experience their time on the event. Some event crowds have a known association with illicit substances as well. Although great security and pre-event messaging may mitigate this to some degree, planning for clinical presentations related to drugs and alcohol is just common sense for some events. Are there risks on the site/venue? Ground condition, water, fires, wildlife, etc? Where the event is hosted may have some additional issues, such as open or moving water, fire risk (and air quality issues), slopes, cliffs, rocky ground and other natural and man-made elements that might present a risk to guests. What does transport look like on the grounds and off the grounds? The location of the event has to be evaluated in relation to the closest ambulance services, and the nearest emergency departments. The level of on-site resources, up to and including contracting standby ambulances, will be affected by this geography. Weather – historical weather for the area for the time of year? Weather matters. Will it be hot, cold, or both? Wet? Dry? Windy? Consider not just your participants, but your team members, and your equipment. Has the host/promoter engaged with additional safety services, and the municipal/governmental agencies in the area? Security, Police, Fire, EMS for transport, emergency management, local hospital authorities, traffic management, water works, roads etc? For major planned events, broad stakeholder engagement is a great way to build strategic alliances for managing risk through pre-communication and planning. It also has huge potential to manage expenses, as each group is less likely to duplicate efforts by planning in silos. Does your event include camping or overnight, multi-day coverage? This is a major factor that vastly increases the complexity of planning and response. Suddenly, you find yourself as the temporary health care system for a small ‘refugee’ community at some events. Are you resourced to manage the participants, the staff, the volunteers and your team? Any possible external risks that the event organizer has little control over but may need to be managed at the event? This is a little creative thinking that should be considered in your plan. Is this event controversial? Might there be protests? Are there other events going on in the region that might clash or compete for resources? Is there a terror threat, or circumstances that could lead to a mass casualty incident? Think outside the box… what else could go wrong that you’d do well to plan for? When building your event medical plan and looking at the requirements for the contract, these ten questions are a good place to start. Of course, each question leads to ten more questions… but that’s why there is a science and art to event medical planning. It’s not as simple as ‘how many first aiders do you need’? Tim Stezik is a key member of Odyssey’s risk management team.